What is the purpose of the Euro Stacking Containers? 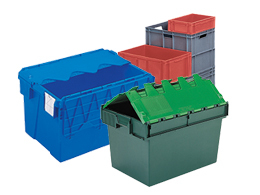 Euro Stacking Containers can be used to create compact, stable loads for storage or transportation. Available in a number of distinct sizes, with solid sides and base, these stacking containers are suitable for a variety of storage and shipping purposes. These containers are black in colour. 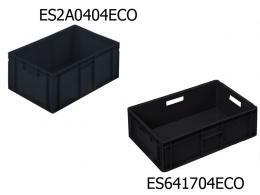 Euro stacking containers are designed to fit onto Euro pallets, making them useful for both storage and shipping. Euro containers were first designed for the German automotive industry, but they have since become a standard container across many industries. This product might be used in many different situations in which stable, compact loads need to be stored. A large number of industries could find these containers very useful for both storage and transport. 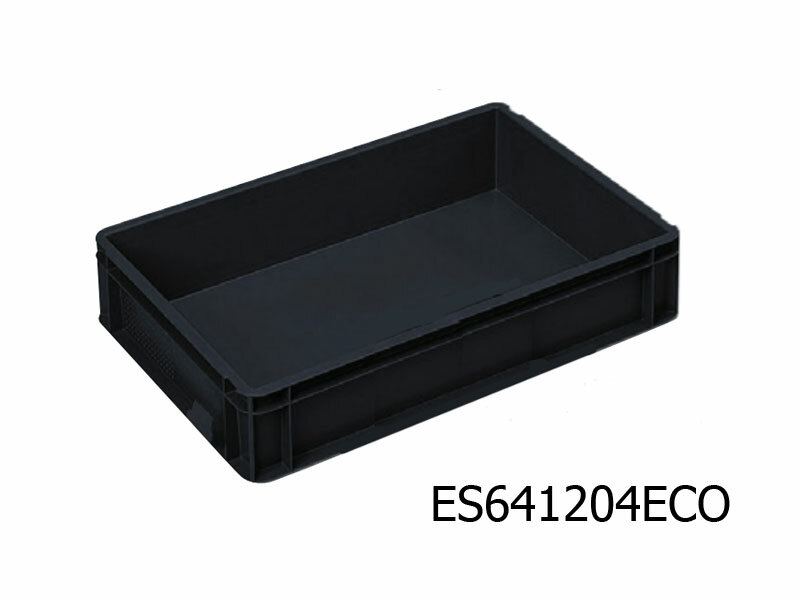 From the automotive industry to groceries and clothing, these containers provide a stable base. Factories, warehouses, and other industrial workplaces might employ these stacking Euro containers. Grocery stores and other retailers might use these containers in conjunction with Euro pallets for storing goods. Shipping and receiving areas of any retailer or industrial setting would be an ideal location for using these containers. Many different professionals might use Euro stacking containers, especially in environments where Euro pallets are already in use. Factory workers and a variety of other industrial professionals can use these containers. For instance, workers involved with shipping and receiving might use these containers. Grocery store employees might also use these containers when stocking and storing goods. These containers include vertical sides for maximum storage, which anyone who uses them will appreciate. Three popular heights with storage capacity of 21, 34 & 45 litres. Designed to fit onto Euro pallets. Vertical sides for maximum storage. The euro stacking containers are made from recycled materials. Discounts are available for orders of 20 or more. Available dimensions (H x L x W – mm): 120 x 600 x 400, 175 x 600 x 400 and 235 x 600 x 400. Includes a standard, one-year parts and labor warranty.